If you’re looking to move from knowing about God to having a personal relationship with Him, this is a wonderful devotional for you. Jesus Calling: 50 Devotions to Grow in Your Faith brings the warmth and insight that more than 25 million people have enjoyed through Jesus Calling in devotions curated to help you grow and nourish your faith. 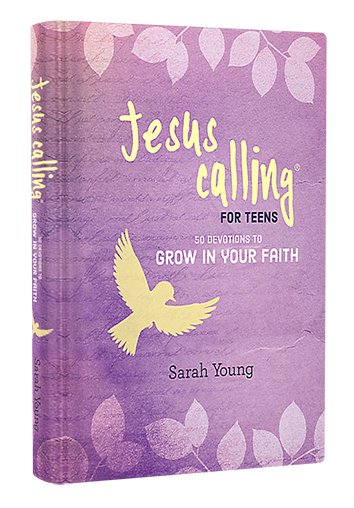 The Jesus Calling: 50 Devotions to Grow in Your Faith features 50 topical readings from Jesus Calling gathered together in a new way and combined with relevant Scripture verses on the topics of faith and spiritual growth. Readers around the world already love how Sarah’s words help them connect with Jesus. Now the new Jesus Calling topical devotionals offer a way to focus even more deeply on the major felt needs in your life . . . and the lives of your friends, family, church, school, and friends.